Fifteen years is a long time anywhere, but this month ESNZ high performance operations manager Warrick Allan is celebrating the milestone and we take a look back at his career. 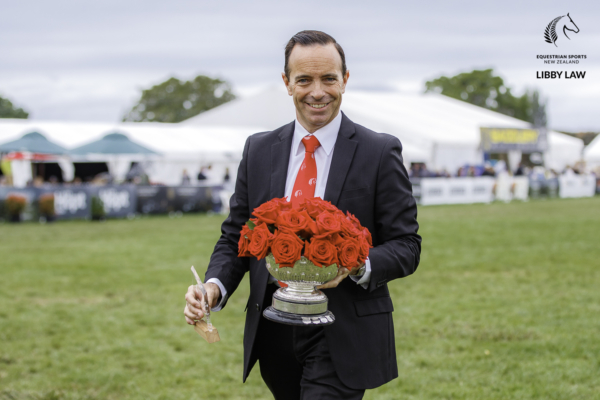 He arrived in Wellington as a fresh-faced lad from his home town of Gisborne ready to take on a new challenge in the capital as ESNZ jumping sport manager. He quickly entrenched himself in the new role and became known for his efficiency, happy nature and willingness to help. None of that has changed over the years and he’s become the go-to man for most, having worked across the organisation in positions including para sport manager, health and safety officer, resident IT manager and the font of all knowledge when it comes to the FEI. From the jumping sport manager role he moved to projects manager and then into his current high performance operations role. For many of his 15 years he was the only male staff member. It is Warrick who ensure all the international entries are done, that tickets for both horses, riders and support staff are all booked for the big events. His spreadsheet at championships is something else, tracking the movements of people and horses as they move in and out of stables, accommodation and competition phases. When he’s not at the office working his magic he’s likely to be on a stage in productions and pantomimes. He’s often on the end of a microphone commentating for shows and events and until recently was president of the Wellington Horowhenua Showjumping Group. He is also a showjumping judge. He’s always immaculately turned out and all his paid and volunteer work is done with a smile. His efficient, no bull demeanor makes him one of the good guys on the planet – he’s well known across the other international federations and admired for all that he does.